Colorful spring vocabulary cards with pictures. Explore new words with your kindergartener. Encourage your child to describe each word and tell what he already know about it. 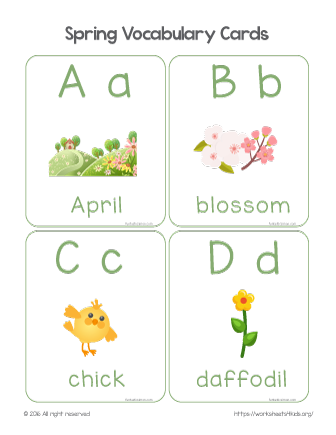 Spring vocabulary words in this set include April, blossom, chick, daffodil.